Our ‘Guest in the Chair’ has so far included some established business names, including, and not limited to, Rob McWilliam, Chief Financial officer for ASDA, Rebecca Thompson, President of the CIOB and Rachel Kay, MD of Green-Tech. Come along and hear the interview, meet new connections and enjoy a delicious breakfast from our in-house caterer, Roger Lee. 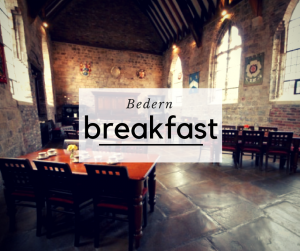 Bedern Breakfasts, like Bedern Hall itself, are run on a ‘non-profit’ basis with any surplus generated being used to secure good speakers and to support The Bedern Hall Foundation – a fund raising endeavor created to ensure the future of this fine medieval hall. A unique and valuable experience to network with other high caliber individuals. An introduction to Bedern Hall as a prospective venue for your own events. The breakfasts will commence promptly at 7:30am and will finish by 9.15am. 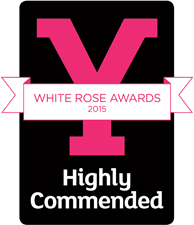 Please note: Doors close at 7.40am to ensure a prompt start to the event. For our next event details, keep an eye on our What’s On page here or get in touch with the team to be added to our mailing list here.